Grease pan and pour in 3-4 ounces of liquid eggs. Cook over medium heat. When egg is mostly cooked, add in 2 sliced, cooked sausage links and 1 ounce of cheddar cheese. 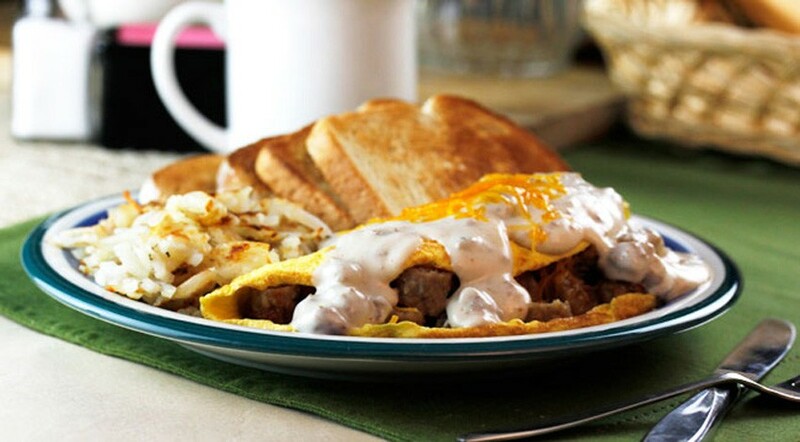 When egg has finished cooking, slide onto plate, fold, and pour on 2 ounces of VANEE COUNTRY STYLE SAUSAGE GRAVY. Top with more cheese, if desired. Serve with hash browns and toast.